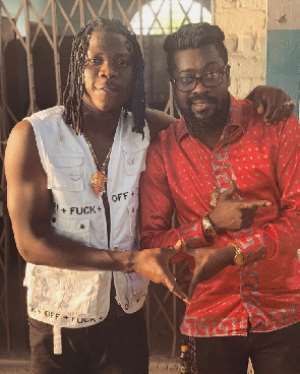 Ghanaian Dancehall artiste Stonebwoy has announced his first collaboration with Jamaican dancehall singer Anthony Moses Davis popularly known as Beenie Man. The CEO of Burniton Music Group label made the announcement through his social media page on Monday, March 25. Stonebwoy didn’t reveal the release date but made it clear in his caption that the song will be out this year. This is not the first time the “Tomorrow” hitmaker has worked with Jamaican stars who have influenced his music. He has worked with the likes of Sean Paul, Morgan Heritage, I-Octane, Kabaka Pyramid, Assassin, among others.